T.Puzzle has been doing well with his potty-training. After he got over the initial trauma of using the toilet (see previous post: Potty Distress), it seems to have clicked for him. At least the peeing aspect of training. He was dry all day at school and even told me when he had to pee recently. The pooping part, not so much. I’m not quite sure what to do about that. 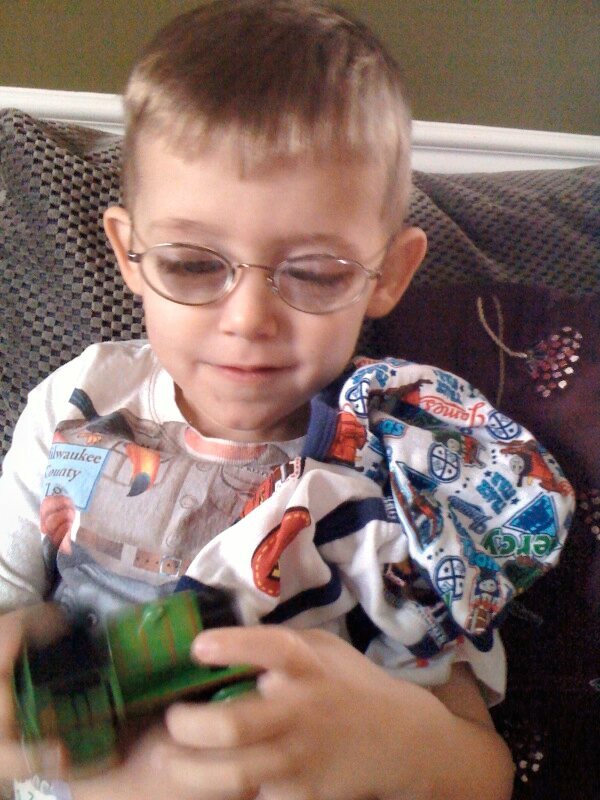 I’m hoping because he has such reverence for his new Thomas the Train underpants, that maybe that will help him along. The first day we purchased his new undies, he carried them around all day and at times, tenderly held them in a loving embrace. I can’t fathom being that attached to underpants. I have absolutely no idea what I am doing in terms of training him. I can guarantee you I will never write a book on how to potty-train children. I cringe at that the thought imagining all the angry letters from parents it would generate. My areas of expertise are more along the lines of how to turn any locale into a proper, smack-down wrestling ring or how to survive tantrums through denial, deep breathing and whiskey. It’s all about writing what you know, isn’t it?